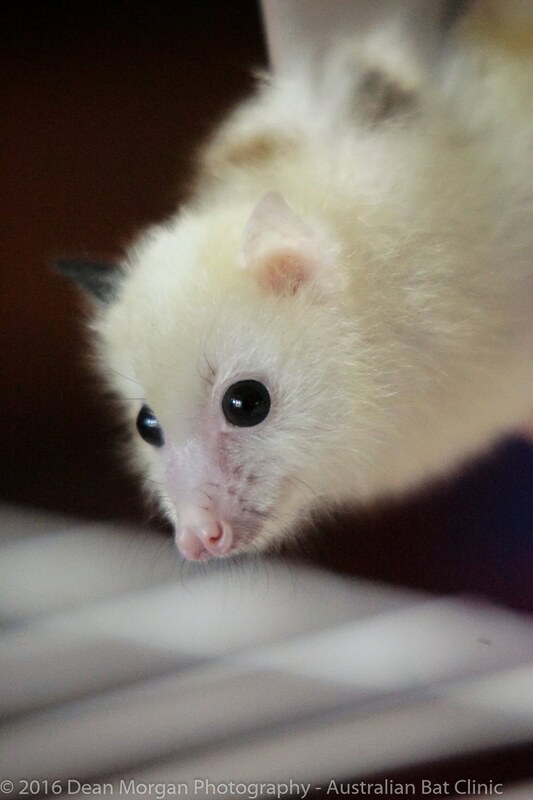 Tal’ngai Dha’run might seem like a big name for such a little creature — but it has a special meaning for the rare white bat who recently came into the Australian Bat Clinic & Wildlife Trauma Center on Australia’s Gold Coast. 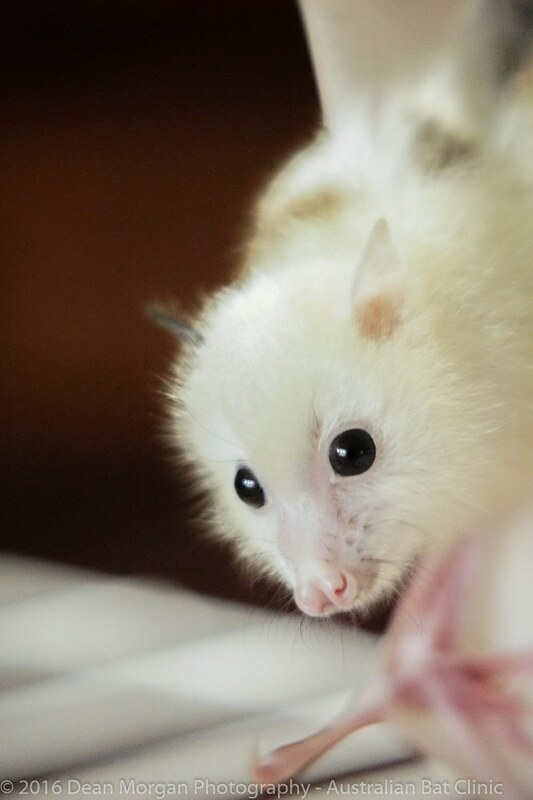 The name means “white wing” in the native Yugambeh language spoken in the area where the little guy was found. 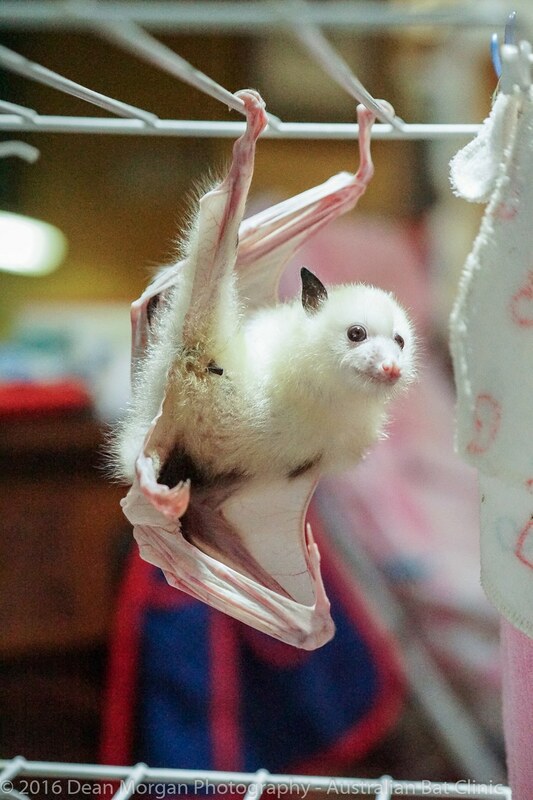 Tal’ngai is actually a grey-headed flying fox — a type of bat — with a special condition. Wildlife rescue organizations in Australia are currently being overrun with orphaned and injured bats because of a mass starvation event caused by habitat loss and irregular weather patterns. 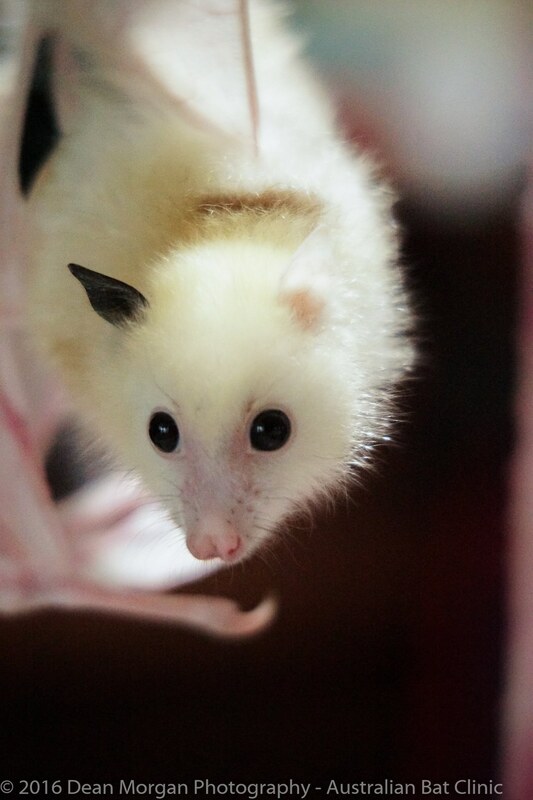 Tal’ngai was found by some rescuers who were out on a night mission to rescue regular flying fox babies. The babies have become so weak with hunger, they’ve been literally falling out of trees. 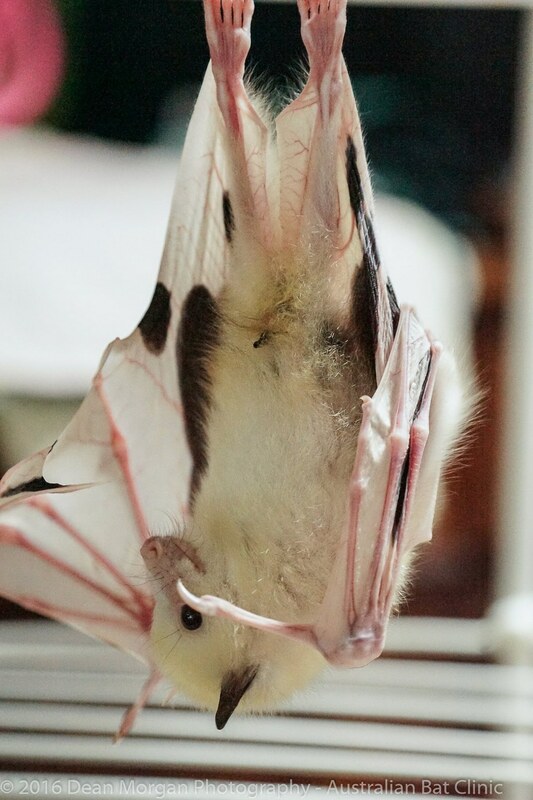 When rescuers examined the paper-white bat back at the clinic, they saw how unusual his markings were, and discovered sunburn on his little feet and legs where they hadn’t been covered by his mom. Tal’ngai is now being rehabilitated with other grey-headed flying foxes. He hangs around with them as if he weren’t any different. He also loves snuggling with his little yellow teddy bear. 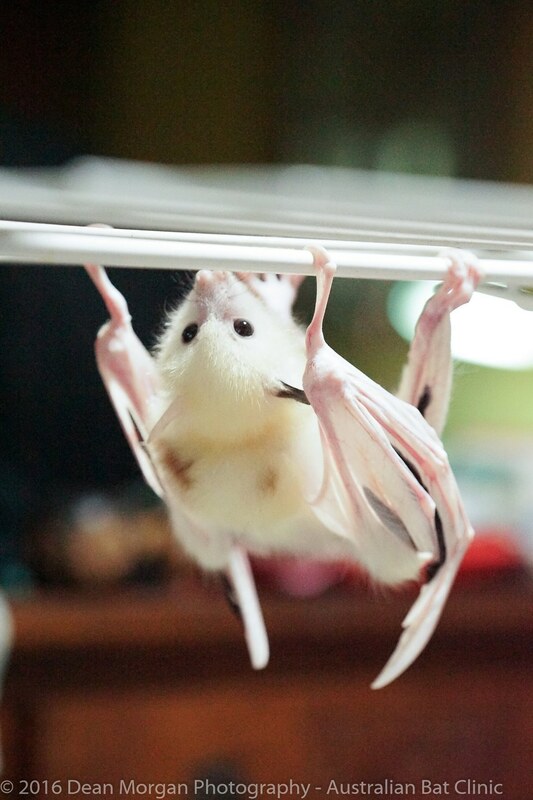 Whatever the future holds for this rare little bat, it looks like he’s certainly in good hands. 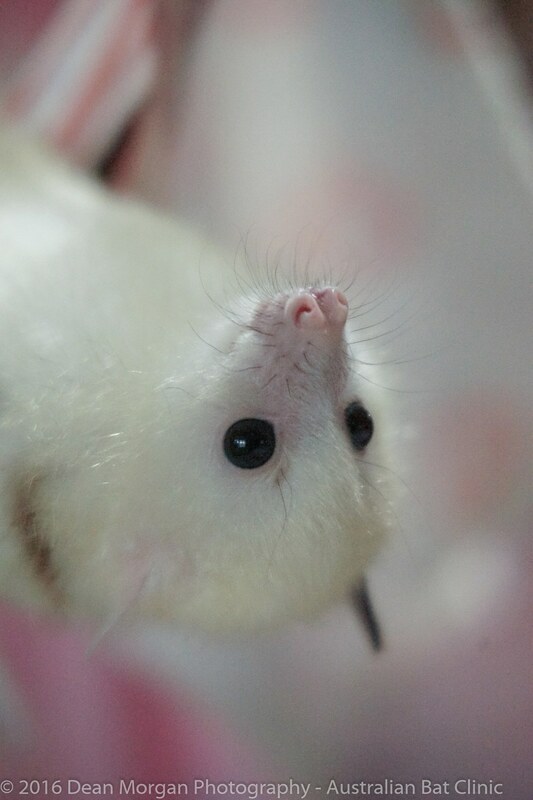 To help raise little Tal’ngai — and all the other baby bats — you can make a donation to the Australian Bat Clinic & Wildlife Trauma Center here.